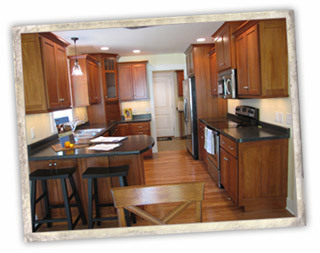 Brunkow Builders is a full service general contractor specializing in residential custom new home construction, additions and remodel work in the Eau Claire area. From design to completion, we pride ourselves not only on our quality of construction but also on our ability to manage your project in a well organized and timely manner. Our Parade Homes are completed two weeks ahead of schedule while other builders are still scrambling. Subcontractors and suppliers prefer us and even refer their friends to us because they know how smooth our process is. A hassle-free experience makes building your home much more enjoyable, and unfortunately, you can't get that just anywhere. That's why we've taken a lot of steps to make sure that your project is organized and on time right from the start. During your project, Brunkow Builders will be your general contractor, and you'll be working directly with Lance Brunkow, president of Brunkow Builders. 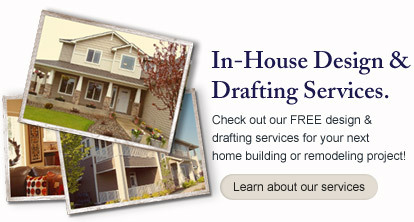 He'll take care of all of the subcontractors, scheduling, and billing throughout your project. You will also see him on-site throughout each work day - checking in and making sure that your project is being completed on-time and to your specifications. Whether you have a plan or not, Brunkow Builders can help you with your project right from the start. Bring us your existing plans and lot, or let us help you find a lot. Once we understand what your needs and wants are, we'll design and build a home that suits your lifestyle and your budget. Lance will meet you at the potential building site to help you determine the best type of plan based on the lay of the land. After listening to what you're looking for in terms of size, style and budget, he'll help you design the perfect home, addition, or remodel plan. 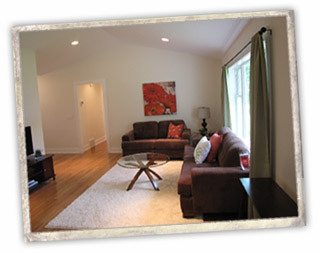 Brunkow Builders will provide you with a project estimate once you've met with Lance and decided on a design. Your estimate will give you a fixed cost with allowances for certain items like flooring, countertops, or cabinetry. This ensures that you'll have no surprises when the project is completed, and you'll know exactly what your budget is up front. Once the project is completed, Lance will walk through the home or project space with you to ensure that the job was done to your satisfaction. After the walkthrough, you'll be able to enjoy your new home. Brunkow Builders will check in with you after your first year after completion to make sure everything is just what you had expected. Brunkow Builders includes a 1-year warranty on all of our work and will take care of any building issues for you if needed. In addition to that, the products used in your home also come with manufacturers warranties. You know you want to build a new home, but where do you start? Let us know what kinds of features you want in your home and Brunkow Builders will draw up the designs using our advanced drafting software. This process will allow you to see a version of what your home could look like, and help us give you exactly what you're looking for.